When you really listen to your city you can see new opportunities, and try a route never taken before. That’s the message of the film introducing the new Volvo 7900 Electric, featuring brand new Swedish artist Nathalie Cuti. Nathalie Cuti, starring in the Volvo Buses 7900 Electric launch film "Light the lights"
Electric buses are silent, clean and can run everywhere. With electric buses you can go where people really want to go, and people will literally be able to listen to the city in a completely new way. This opens up new opportunities to develop our cities and create new places for people to meet, and get noticed. For the launch of the new Volvo 7900 Electric, Volvo Buses has made a film about someone who tries to be heard, but who doesn’t get the attention she deserved. The film stars Nathalie Cuti, a young woman from Gothenburg, Sweden, who dreamt about a breakthrough in the music business. She has written the song for the film based on her own story. “I wrote this song ‘Light the Lights’ which is based on my own experiences. If you listen to the lyrics, the song is about trying to get attention, it’s about being heard. Look, I’m here, see me. I’ve always had music in my life, but if you don’t get seen and don’t get acknowledged, it’s difficult,” says Nathalie Cuti. In the film, an attentive bus driver in a Volvo 7900 Electric hears Nathalie playing and decides to drive her to a stage where she will get the attention she deserves. Finally, she can play her music and be heard. The amazing twist to this story is that this has now also happened for real. 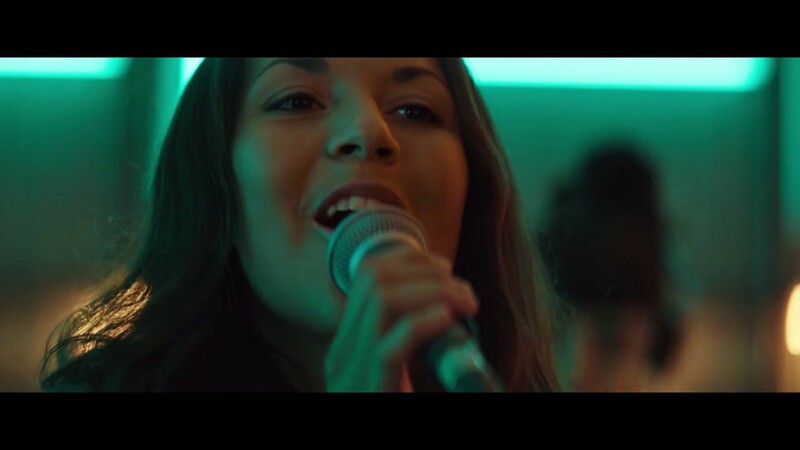 ‘Light the Lights’ has been released on Spotify, Nathalie Cuti has performed live in London, and the Volvo 7900 Electric launch film has been viewed and shared millions of times on Facebook and YouTube.